When the school schedules were released at the beginning of the semester, the school’s pedagogical director explained that I was only given three hours to allow me time to “learn the ways of Africa.” He constantly stressed that I could request more hours at any time, which, as evidenced by the fact that I am still teaching only three hours a week, has not exactly been proven true. I know what you’re thinking: “wait, you left everything you love in America to teach three hours a week?” Peace Corps also seems to think this is some type of issue, because every time I run into staff members on my frequent trips to Nampula, they bring up my “issues at site,” even though I can’t ever remember complaining about anything in Nakhololo to them, because when it comes down to it, I’m really living the Posh Corps life and don’t have a lot to complain about. My completely unrestricted schedule allowes me to come up with revolutionary classroom activities such as the “Soil Competition,” we held this week, in which I unleased my students on the world in search of the most interesting soil they could find, to present to the rest of the class in hopes of winning a pack of mint knockoff Oreos. wau, check out that solo calcário !!! He knew learning about dirt could be so interesting??? 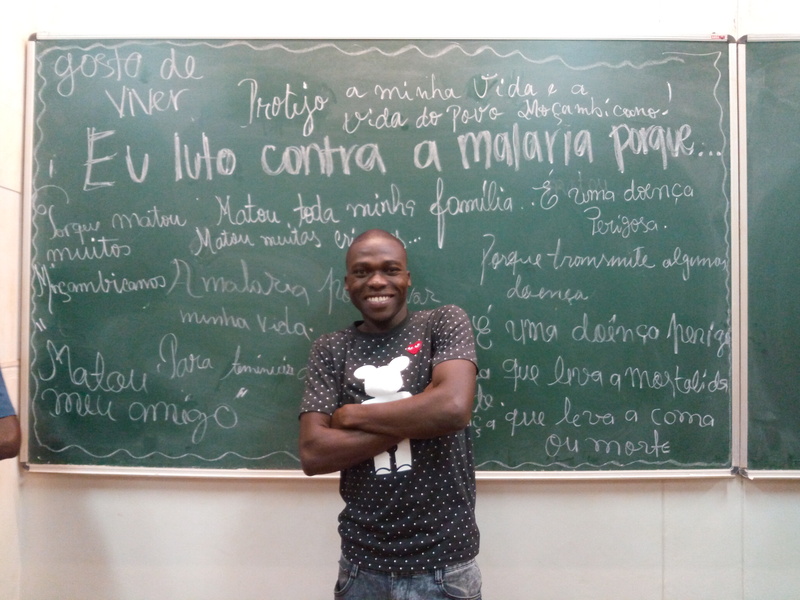 While only having three hours per week of teaching has made motivating myself to do anything difficult, it has also given me time to work on the Peace Corps “secondary projects.” In Mozambique there are a handful of national projects that include youth groups, English Theater competitions, and Science Fair/Club. We had two English clubs going strong, but the numbers have fizzled down and we now only have one student from my original group who still regularly attends, and as it seemed kind of awkward to have an English group with one student and two teachers, I stepped back from this, as much as I enjoyed practicing English with this student. Plus, it turns out we can’t even compete in the English Theater competition because our students have an “unfair advantage,” even though they don’t even teach English at our school. In January, I applied to become Nampula’s provincial science fair coordinator, and was selected along with Victoria, our nearest volunteer. This actually sounds a lot more important than it is, so far it has just involved multiple useless trips to Nampula city where (even when our counterparts show up) little gets accomplished. At least we can expense our Chinese food lunches. Science club, on the other hand, has been probably most fulfilling project at site. I have been super lucky in that the other two science teachers at my school are both competent and super jazzed about the whole idea, and have really taken the project on as their own. More often than not, they lead the sessions while I stand in the corner smiling and nodding, which is fine by me. The science club curriculum involves a series of 5 or so meetings and experiments designed to teach the students the scientific method, dependent and independent variables, and how to design their own project all in preparation of the national science fair. At the IFP, the first 3 weeks of the science curriculum were dedicated to pretty much teaching the same stuff, meaning we finished the curriculum in no time. With no more “official” experiments to conduct, I was over joyed when one of our students Jamal offered to show off a demonstration of his science fair project for the rest of the group. Using only ~local materials~ found in our market, he tested different types of solutions to see which would conduct electricity best to light a small LED light. It was awesome to seem him explain his use of the scientific method and apply his knowledge to a real life scenario: getting struck by lightening while swimming in the ocean. Or, more commonly, getting shocked by your electric stove while barefoot but not while wearing flip flops. His whole demonstration just made my heart happy, I was so proud of him for being able to correctly answer all the question the other students were asking him, like what his independent variable was. On Tuesday we are having a “workshop” for everyone’s projects, and I have high hopes for the rest of their experiments. They’ve been extremly secretive about what they’re actually doing, which kind of worries me, but means I’ll be very surprised on Tuesday when I finally will find out what they’ve been working on!